Open Your Minds, Leave Stereotypes! 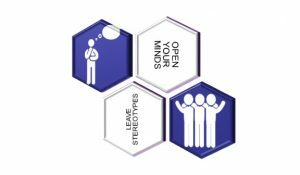 ”Open Your Minds, Leave Stereotypes!” project is aiming the creation of opportunity for rebuilding historical-cultural ties that both nations have, but which are a little bit forgotten right now, taking into account especially economical and political relations of Poland and Ukraine. This problem is extremely visible among young people, who didn’t have any chance to experience real Polish-Ukrainian cooperation in their lifes and the closeness of both societies. The main motivation of project partners and participants are existing needs, identified all together, based on really existing problem given above. Project is then developed to show participants how close are cultures of Poland and Ukraine, even though both countries are in different political circles. Both states are members of Slavic cultures family, but their closeness was crushed by several political and economical circumstances. Young generation should have a chance to work together and find own points of view and in this way to contribute to building effective dialogue between their countries and societies. This is why the main objective of the project is to strengthen intercultural dialogue between Youth from Poland and Ukraine through elaboration of open and tolerant attitudes, opportunities to know both cultures better, breaking barriers and stereotypes, as well as cooperation within international group, giving possibility to utilize potential of mutual relations. Project is going to be prepared and implemented in the idea of non formal education, using its approaches, showing Yout existing possibilities and encouraging them in the learning process, at the same time giving chance to reach decisions together. Participants from the very beginning are going to be active parties of the project, being involved in its real implementation, as well as contributing to its promotion and results dissemination. Showing Youth role in the whole process is one of the most important elements for both partners. Bringing together young people from both countries through showing common elements (language, dances, traditional cuisine, history), values and interests of both nations. Showing to Ukrainian Youth cultural closeness of Poland, marking the membership in European Union and support in their road to gradual integration based on strong common cultural values and similarities. Approaches: Learning through challenges; Holistic approach (Knowledge-Experience-Competence); Experiental Learning (Action-Experience-Reflection-Conclusion-Action); Diversified Education; Personal contribution and resposibility for education. Projekt finansowany ze środków przyznanych przez Polsko-Ukaińską Radę Wymiany Młodzież. Project financed with the funds received from Polish-Ukrainian Council for Youth Exchange.